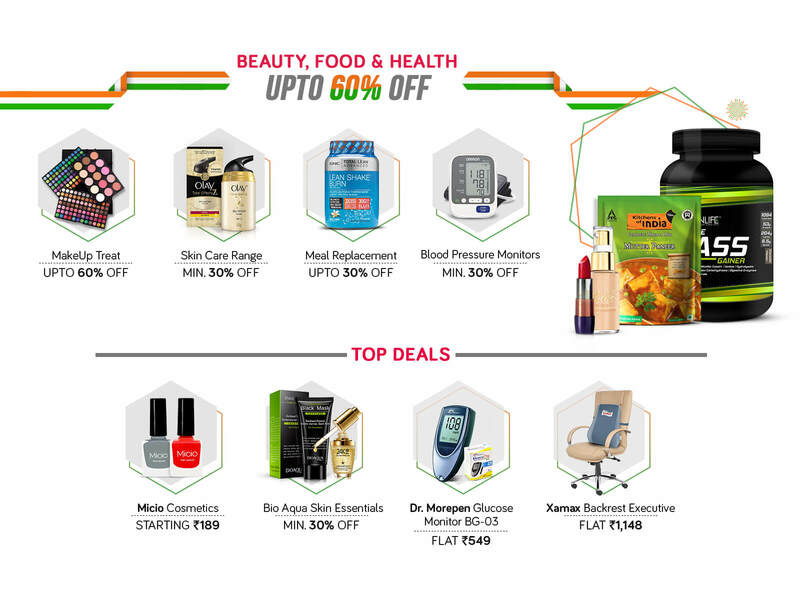 The Snapdeal DEALS of INDIA: Great Independence Day Deals from 10-15 Aug – Up to 80% OFF. 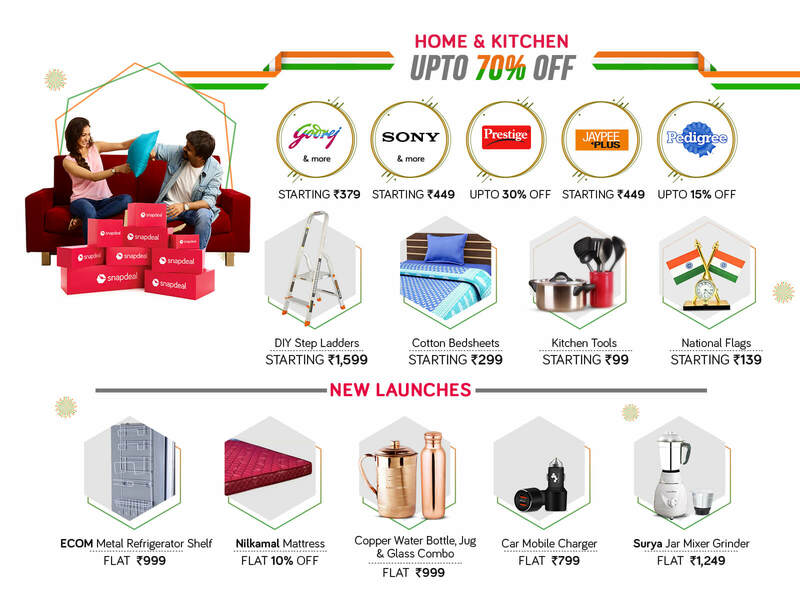 Great Independence Day deals & offers coming your way from 10-15 August on Men’s & Women’s fashion, Home & Kitchen, Beauty, Food & Health, Sports & Fitness, Mobiles & Accessories, Electronics, Refurbished Mobiles and more. Get FREE SHIPPING on selected products. 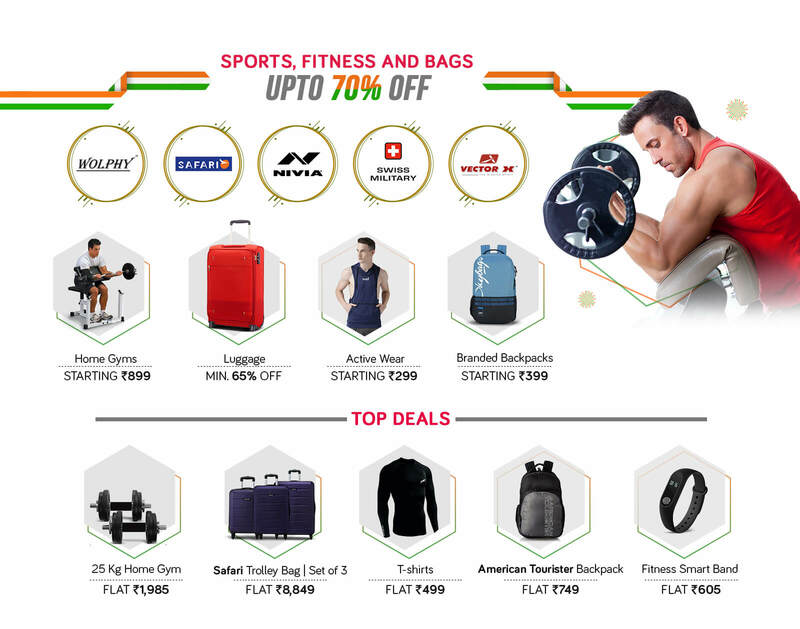 Exciting deals on countless number of items from Men’s & Women’s fashion, Home & Kitchen, Beauty, Food & Health, Sports & Fitness, Mobiles & Accessories, Electronics, Refurbished Mobiles and more. Up to 80% OFF on selected products.